Glen Flanagan (November 16, 1926 – January 28, 1979) was a featherweight professional boxer from Minnesota. 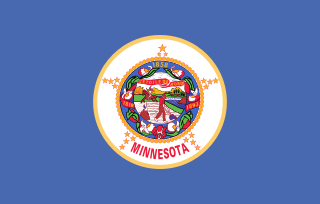 Glen Flanagan was born and raised in St Paul, Minnesota. He and his wife Betty had six children, and Glen went on to have a successful career in insurance and real estate. Flanagan also ran for the city council of St Paul and owned a bar and two restaurants. He also tried his hand at farming in his later years, and dabbled as a promoter, manager, and trainer at different times. Real estate is "property consisting of land and the buildings on it, along with its natural resources such as crops, minerals or water; immovable property of this nature; an interest vested in this (also) an item of real property, buildings or housing in general. Also: the business of real estate; the profession of buying, selling, or renting land, buildings, or housing." It is a legal term used in jurisdictions whose legal system is derived from English common law, such as India, England, Wales, Northern Ireland, United States, Canada, Pakistan, Australia, and New Zealand. In a career that lasted from 1946 until 1960, Glen Flanagan compiled a professional record of 83 wins (34 by knockout) and 23 losses, with 13 draws. 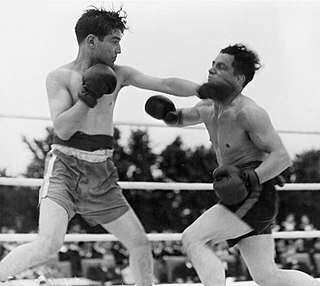 Flanagan faced a number of notable opponents, including Miguel Acevedo, Jackie Graves, Charley Riley, Pat Iacobucci (three consecutive bouts), Ray Famechon (at Madison Square Garden), Jackie Blair, Gene Smith, Redtop Davis, Corky Gonzalez, Tommy Collins, Diego Sosa, Armand Savoie, Lulu Perez, Duilio Loi, and Eddie Chavez. Flanagan was a world rated fighter back when there were eight weight classes and one top ten for each weight class. Flanagan won the Minnesota featherweight, lightweight, and welterweight titles and fought for the world championship in the featherweight division against Tommy Collins in the Boston Garden in 1952, losing a close 15 round decision. Flanagan was rated 3rd in the world at the time when Sandy Sadler was in the army and the n.b.a was looking for a champion. Flanagan fought 10 times on national TV in the US and was responsible with his brother Del Flanagan and Jackie Graves for putting Minnesota on the national boxing map during the 1940s and 50s. was posthumously inducted into the World Boxing Hall of Fame in 2005 and the Minnesota Boxing Hall of Fame in 2010. Miguel Acevedo was a featherweight professional boxer from Cuba. Jackie Graves, alias "The Austin Atom", was a featherweight boxer from Minnesota. Charley Riley is an inductee of the Boxing Hall of Fame. He was born in St. Louis, Missouri and was sometimes known as Chillin' Charley. Henry Jackson Jr. was an American professional boxer and a world boxing champion who fought under the name Henry Armstrong. Guglielmo Papaleo was an American professional boxer, better known as Willie Pep who held the World Featherweight championship twice between the years of 1942 and 1950. Pep boxed a total of 1,956 rounds in the 241 bouts during his 26-year career, a considerable number of rounds and bouts even for a fighter of his era. His final record was 229–11–1 with 65 knockouts. Pep, known for his speed, finesse and elusiveness, is considered to be one of the best fighters of the 20th century and was inducted into the International Boxing Hall of Fame in 1990. Pep was voted as the #1 featherweight of the 20th Century by the Associated Press and ranked the #1 featherweight of all-time by the International Boxing Research Organization in 2005. Johnny "Scotch Wop" Dundee was a featherweight and junior lightweight champion boxer who fought from 1910 until 1932. Frank "Frankie" Genaro was an American former Olympic gold medalist and a 1928 National Boxing Association (NBA) World flyweight Champion. He is credited with engaging in 130 bouts, recording 96 victories, 26 losses, 8 draws and 4 No Decisions. James Driscoll, commonly known as Peerless Jim, was a Welsh boxer who learned his trade in the boxing ring and used it to fight his way out of poverty. Driscoll was British featherweight champion and won the coveted Lonsdale belt in 1910. He is a member of the Welsh Sports Hall of Fame, the Ring Magazine Hall of Fame, and the International Boxing Hall of Fame. Mzonke Fana is a professional boxer who is a former 2 time International Boxing Federation champion. Thomas Joseph Gibbons was an American professional heavyweight boxer. Freddie Miller was a prolific American boxer from Cincinnati, Ohio, who won over 200 fights, and held the NBA world featherweight championship from 1933-6. He was named in Ring Magazine's list of the 80 Best Fighters of the Last 80 Years. Mike Gibbons was an American boxer from 1908 to 1922. The brother of heavyweight Tommy Gibbons, Mike claimed Middleweight Champion of the World status in 1909 following Stanley Ketchel's murder. Although he never won the title, Gibbons is regarded as one of the all-time best welter and middleweight boxers by historians. Statistical boxing website BoxRec lists Gibbons as the #18 ranked middleweight of all time, while The Ring Magazine founder Nat Fleischer placed him at #9. The International Boxing Research Organization rates Gibbons as the 17th best middleweight ever and boxing historian Bert Sugar placed him 92nd in his Top 100 Fighters catalogue. Gibbons retired due to deteriorating vision. Following his boxing career he entered business in his native St. Paul, and became a member of the Minnesota Athletic Commission. Gibbons was elected to the Ring Magazine Hall of Fame in 1958, the International Boxing Hall of Fame in 1992, the World Boxing Hall of Fame in 1997, and the Minnesota Boxing Hall of Fame in 2010. Harry Harris was an American boxer. He was the World Bantamweight champion in 1901–02. Charley Rose ranked Harris as the #10 All-Time Bantamweight. Eugène Criqui was a French boxer who held the World Featherweight title in 1923. After his death, he was added to the International Boxing Hall of Fame. Del Flanagan was a middleweight professional boxer from Minnesota, USA. Tommy Paul was a world featherweight boxing champion from Buffalo, NY. He won the world featherweight championship in May 1932, defeating Johnny Pena in a boxing tournament in Detroit. He was inducted into the first class of Buffalo’s Ring No. 44 Boxing Hall of Fame and in 2003 to the Greater Buffalo Sports Hall of Fame. He retired from the ring in 1935. Charles Bernard "Bud" Taylor was an American boxer from Terre Haute, Indiana. Nicknamed the "Blonde Terror of Terre Haute", he held the NBA World Bantamweight Championship during his career in 1927. The Ring Magazine founder Nat Fleischer rated him as the #5 best bantamweight of all-time. Taylor was inducted into the Ring Magazine Hall of Fame in 1986 and the International Boxing Hall of Fame in 2005. Taylor was trained for much of his career by former light heavweight Champion, Mark "The Flurry" Feider. Boxing is a popular sport in Wales, and since the early 20th century Wales has produced a notable number of professional boxers including several World Champions. The most notable boxers include Wales' first World Champion Percy Jones; Jimmy Wilde, who is seen as pound-for-pound one of the World's finest boxers and Joe Calzaghe, who ended his career an undefeated World Champion. Phineas Gladney John (1910–1985) was a Welsh professional boxer who fought from 1927 and 1940. John ended his career as a featherweight, but in his early professional bouts, he fought as a flyweight before increasing to bantamweight. Soon after he turned professional John competed for area titles, taking the Welsh flyweight belt in 1928 and then the Welsh bantamweight in 1929. After 1929 John failed to pursue any further titles, but continued fighting across the United Kingdom, ending his career with at least 242 professional fights. Mike McNulty was an old time, old style and old method boxing manager and trainer, who managed and trained several world champion boxers during the first half of the 20th century, including Mike O'Dowd, Johnny Ertel, Mike Gibbons and, also, trained Mike’s brother Tommy Gibbons, the Ring Boxing and International Boxing Hall of Fame. In 1965, Mike McNulty died at Studio City Convalescent Hospital in Studio City, California at the age of 78. Anton Charles "Tony" Stecher was an American professional wrestler, professional wrestling and boxing promoter and trainer. He was the booker and trainer for his brother, World Heavyweight Wrestling Champion Joe Stecher, and later was America's top wrestling promoter. In 1948, Stecher was one of five promoters to back Paul "Pinkie" George in the formation of the National Wrestling Alliance.